Protect Your Hands From Contact With Industrial Chemicals With This Disposable Glove. You never know when you will need quick, one time protection from UV materials. Perhaps it is to handle a sudden spill, to show a new client around your plant, because your regular protection is already in use, or some other unforeseen circumstance. To be ready for times like those, SAF-T-CURE offers a full line of economical disposable safety products. Make sure you are prepared - always keep a set nearby. It is essential that personnel who handle UV material be protected from direct skin contact. These materials are classified as SKIN IRRITANTS. Hands are best protected by wearing impervious gloves. However, the most effective gloves against penetration by these materials may be uncomfortable to the user and may in some situations seriously interfere with manual dexterity. 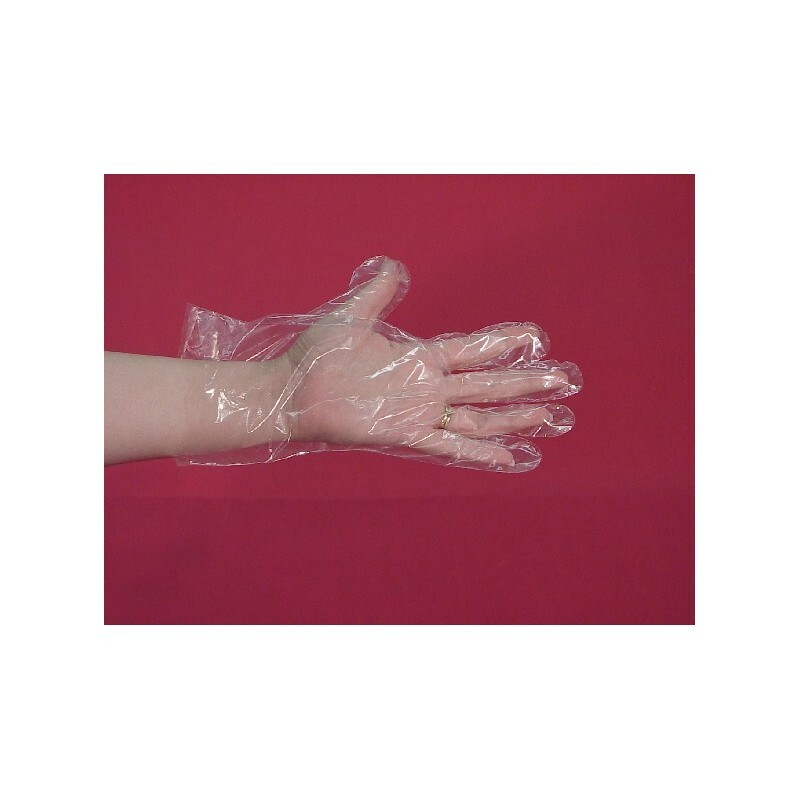 HEAT-SEALED POLY GLOVES (polyethylene gloves with heat-sealed seams) are 1.25 mils thick. These durable polyethylene gloves are clear in color. Gloves fit either hand. 100/pack, 10 packs/case.